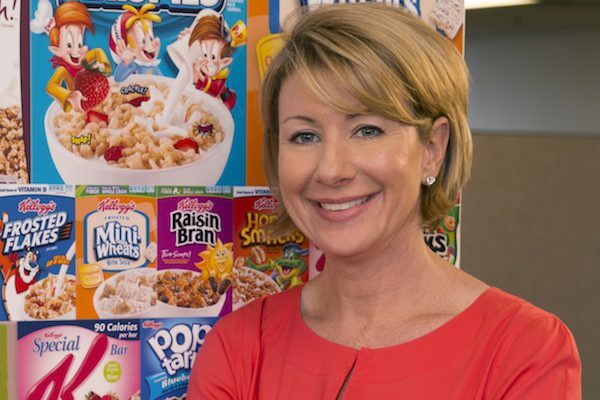 Wendy Davidson is president, U. S. Specialty Channels for The Kellogg Company. She began her career with Tyson Foods, where she worked from 1993 until 2009. She joined McCormick as VP- Consumer Food manufacturing for the U.S. and Latin American Region in 2010, and then Kellogg in 2013. She serves on the board of regents for her alma mater, Luther College in Decorah, Iowa, and is the incoming chair of the board for the Women’s Foodservice Forum. 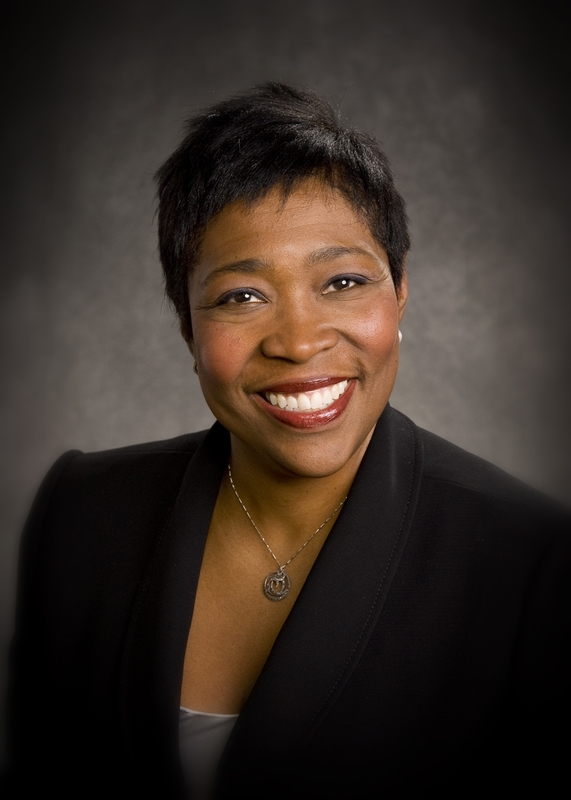 She has served on the boards of the Multicultural Foodservice & Hospitality Alliance and Susan G. Komen for the Cure and other non-profits. She is the mother of two children. You studied sociology, political science and management in college. Why did management win? I like to describe myself as an “accidental executive.” I hadn’t planned on going into business: I had gone to college intending to go to law school. When I graduated I needed to earn a little money so I was prepared to go to law school. I had interned at Tyson Foods when I was in college. My father was a part of an acquisition by Tyson that brought my family to Arkansas. I had some great intern experiences there in human resources, accounts payable and accounts receivable, so I knew the company and its culture really well. When they offered me a position in sales, I chose to take that and to work for a couple of years and then go on to law school. That was my intent. But Tyson consistently offered some great opportunities over my time there and that led me to stay. I started as a sales representative in the direct sales team in Arkansas where I was the only female on the team . Tyson created a new role in customer marketing and I was asked if I would take that on. A couple of years into that role, the head of the division asked how we could expand the results we were getting from my work. He asked me to create a business plan and subsequently asked me to lead that newly created division, essentially to do customer marketing across the U.S. for that division. It led to an opportunity run sales and marketing for our global McDonald’s Business Unit. That was some great experience with the global regions and also moved me from a functional role in sales into a sales & marketing business role and gave me the itch for a general manager position. They tapped me to run the McDonald’s unit a couple of years into my working in it, then I moved on to run the foodservice business unit and then to run the national accounts and prepared foods business division. Those last three roles included operations as well. What’s unique with Tyson is that with most CPG [consumer packaged goods] firms the supply chain often sits outside the business division in the matrix. So when you run a business, you only have direct control for sales and marketing within the [profit and loss statement]. At Tyson they are wholly owned businesses, so you lead everything from live operations through finished product as well as sales & marketing. Because I had business across some global regions, it gave me some great experience at a very young age and allowed me to learn how to take some risks. That led to opportunities for me across the U.S. and Latin American Region at McCormick and now at Kellogg. I have joked with [Tyson Chairman] John Tyson that if he hadn’t given me so many opportunities I would have gone on to have a stellar legal career. His response is that he saved the world from one more lawyer. At what point did you decide that you weren’t going to law school, that business was your future? It really showed me what’s possible in business, which is to build something from scratch. It was an exciting peek into what was possible. You mentioned that you began with Tyson as the only female on your direct sales team. Was that awkward? Honestly it was like being with a bunch of brothers. We all looked out for each other and everybody asked a lot of questions and we shared a lot of knowledge. What was interesting about the group was that we had some people with extensive experience in the industry, and we had some who had very little experience. It was probably the first time I brought together a team with broad backgrounds and a willingness to ask a lot of questions and learn from each other. It was a great opportunity. But I didn’t see anything gender-related that made me feel any different from the others. Have there been many times in your career when you have been the only woman in the room? I was often the youngest and the only female in the room. Early on someone said to me, “By your position you have earned a seat at the table. Make sure you use it.” I’ve always felt like there’s an obligation to speak up and to make sure we’re driving the right change for the team. When I had my children and came back to the office I felt an obligation to demonstrate what it’s like for a working mom and how you need to balance. So when meetings were scheduled after the end of the day, I needed to be the one who said, “Sorry, I need to leave and pick up my child.” I knew that if I didn’t say that, people in the organization would never feel comfortable saying it. I had to lead by example. Some women are reticent speaking up for what they need. What gave you the confidence to do it? I think it was a combination of being comfortable in my own skin and a lot of lessons learned along the way. When I was young, my father was an executive. He was in charge of HR and he often would bring candidates home for dinner, with my brother and me at the table. So I learned early on the expectation that I would have a voice. Regardless of age, gender or experience, the expectation was that I would feel comfortable carrying on a conversation with anyone. I think that gave me confidence as I got older that my gender and age didn’t matter. If I had a seat at the table I needed to make sure I used it. You’re the incoming chair of the Women’s Foodservice Forum. You recently ran a WFF workshop on “leadership agility.” Can you explain what that means to you? Leadership agility is critical. It’s the ability to navigate change. And I’ll tell you that it’s the No. 1 reason I am where I am today. Every role I was given created an opportunity for me to learn, and they brought a lot of challenges along the way. So it’s important for any leader to walk into a situation knowing you’re not expected to know everything as you move into it. But you have to be willing to ask a lot of questions. From those three questions, I’ve gotten incredibly rich input about the status quo that people may not have been comfortable challenging in the past. I was able to dig into the fears about change in an organization but I also learned whether the organization had a comfort level and what level of change they were willing to take on. That allowed me to prioritize things I might be able to put in place and be sure the team was engaged along the way. So it’s a lot about agility in learning and in adapting to a new environments and cultures, and about willingness to take ideas from just about anywhere. Is leadership a skill you’ve honed over the years or did you really have the tools you need from the start? I don’t know if I believe that leaders are truly born, but leaders learn how to adapt along the way. You add all those skills to the toolbox. For me, moving from high school to college was adapting to change. So was when my family moved from Iowa to Arkansas, and moving from college to the workforce; or moving inside Tyson from roles where I was comfortable to roles that were very different. In my time at Tyson, nearly half the roles I took on were newly created roles. That not only made me comfortable with change, it made me crave it. I wanted to not just be a recipient of it; I wanted to drive positive change for my team, my company and my customers. Those skills do get honed along the way. Have you benefited from leadership models from whom you could learn those skills? I have. My first role models were my parents. My mother didn’t finish college but worked with a number of non-profit boards and organizations about which she was passionate. She puts that passion into action. Rather than just giving financially, she gives of her time and talent and has made some tremendous change. She really taught me leadership and leading with your heart. My father was an executive and one who always tapped into the talents of his team. Early on I remember him telling me stories about executive assistants of his whom he encouraged to go back to school and whom he moved to positions of leadership because he saw leadership potential in them. That taught me a couple of things. If someone taps you for an opportunity and sees something in you that you may not see in yourself, trust them. They will help you along the way. Part of my job as a leader is looking for that untapped talent within an organization. People who need me to reach in and say I see something in you that you don’t see in yourself and to give them those opportunities. My father was all about leading with your head but also making sure you’re leveraging the full talents of your team. So I’m a product of the both of them. Have you seen a value in getting outside the office and networking with colleagues at organizations such as WFF? I’m a big believer in networking and in the value of building up networks both outside and inside of your company. Starting in a company that was predominantly male and where I was often the youngest, my role models about what women in leadership looked like were through WFF. A wonderful lesson for me about what WFF can do were the number of executive women who arguable were busy and very successful but who openly reached out and offered assistance. They offered to coach along the way; they allowed me to ask a lot of questions. They provided support and later became great business partners. It taught me a lot, not only about navigating the bumps along the way but also the importance to reach back and help others. When you move up in your career, you need to hold the door open and pull other people through. I’ve continued to mentor both inside and outside the industry and now at my alma mater as a part of the board of regents. I think we have an obligation to share the lessons along the way. The best is to make sure you’re open to others when they’re starting their careers. You can help share areas where you’ve had some success and lessons learned; you can be there to answer questions. For example, early in my career I volunteered on the marketing communications committee for WFF. I had no marketing background but I served with editors of magazines and heads of marketing for major food companies who taught me the elements and processes of marketing: how to analyze your marketing agency; how they build marketing campaigns. It was tremendous teaching that they gave me just in the process of being in the organization. What did you take away from your experiences on the board of the Multicultural Foodservice & Hospitality Alliance? MFHA does some great work, especially around building cultural intelligence. Just when you think you understand the differences and how to leverage the full potential of your team, you spend some time with MFHA and some of the training they give and you really understand that [the goal] isn’t the team coming together to become a single entity; it’s leveraging those differences and points of view and experiences. I heard once the description of effectively leveraging the differences within a team is more like a salad than a smoothie. When you make a smoothie you blend all the ingredients together and you get one color and one texture. But with a salad you mix ingredients together and they’re still the same unique ingredients but together they taste a whole lot better than individually. MFHA helps you understand the benefits of all those unique elements. You stepped away from corporate life for a year in 2009. What were the benefits from that time away? That was a tremendous year for me. At McDonald’s, every 10 years they give executives a sabbatical and they ask them to step away for eight to 12 weeks. I remembered when I worked with McDonald’s, seeing people come back from those being really wonderfully refreshed in their recommitment to the company. My husband challenged me to consider some things I’d always wanted to do but never had the time to do. I though that was a gift and I’ll always feel grateful for that year. I channeled a little bit of my skills into two non-profit boards that meant a lot to me: my children’s school and Susan G. Komen. What I learned from my mother is how you channel your talents and push into something you feel passionate about to help others. I also wanted to challenge myself on some things. I was a non-runner prior to that, so I trained for and ran in my first half-marathon. I went skydiving. I took a photography course. And I really wanted to do some work to stay connected to the industry and also understand if I was really passionate about what I was doing, so I did some consulting work for some former customers and industry partners. Ultimately all that did was reignite my passion for the food industry and I looked for companies and environments that would allow me not only to do my best but to be my best self. I changed a lot about how I lead teams, how important I believe culture is in how you drive business performance. I believe outcomes are the result of people’s actions and actions are the result of their beliefs. People believe in why they do something: they believe the why of a company and a culture. Culture plays a huge role in results and I think I realized that during that year. You were seeking a company that would allow you to be yourself. Is that something you stress to the young women you mentor? Absolutely. You have to bring your whole self to work and be the same person you are during the day that you are when you’re not in the office. That’s when you’re most creative and productive. You leverage the ideas of the whole team and people really get to know you. I’m a big believer that people don’t follow titles; they follow people. They need to know who I am as a person and why I make the decisions I do. One of the great things about Kellogg and made me want to come here is that they have a track record of diversity: there’s a great mix and blend of people from the Board to the executive level to inside the divisions and teams. The company really encourages everybody to bring their whole selves to work. It has been a great cultural fit.